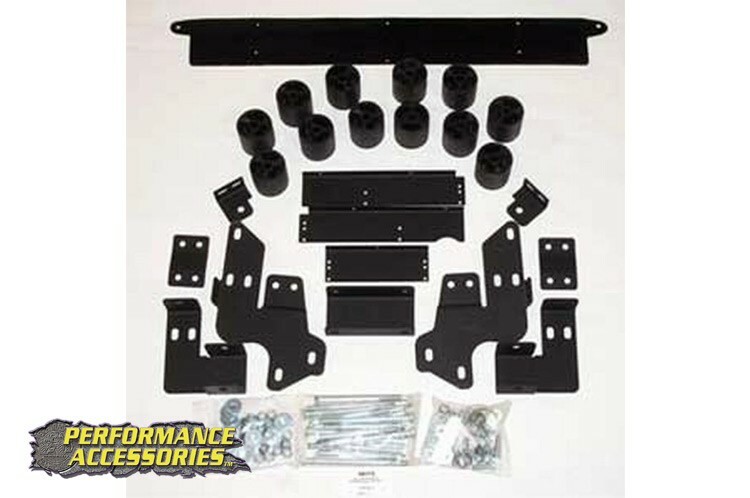 This Performance Accessories Body Lift Kit provides 3-inches of additional lift for the Chevrolet Avalanche. It allows the use of up to 33-inch diameter tires. The system comes with fiberglass reinforced nylon body blocks, 3/16-inch thick laser cut and powder coated bumper relocation brackets, CNC machined and zinc plated steering extensions, laser cut and zinc plated radiator relocation brackets, zinc plated square frame channel, and high strength hardware. Provides three-inches of lift without modifying existing suspension components. Allows use of 33-inch diameter tires and factory rims for improved ground clearance.